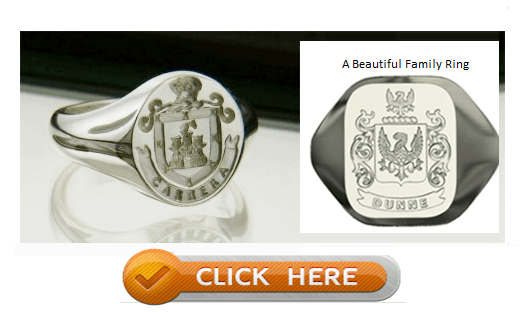 Family Crest Rings are truly one of the great signet rings worn by men and women. These rings display pride in the family name and portray a mark of respect to our ancestral values and lineage. Since ancient times, Coats of Arms have been part of our culture. With reliable family histories and authentic family crests Military Online Shopping permits you to find the coat of arms relating to a particular surname. Coats of arms generally originate from European countries. They were worn by the knights in the twelfth and thirteenth century. It was a way to protect and identify the clan. Much like the current military branches have identifying markers. The usage of these coats of arms evolved into family crests for specific family lineages. Custom family crests are fantastic presents for both military and civilians. The coat of arms can be displayed on various items as an indication of family pride. Looking for a pertinent family crest can become a frustrating affair without the proper tools and knowledge. Ensure that credible research is done to find the right symbol. A popular item to have is the embroidered coat of arms. This consists of a shield, helmet, mantling, wreath and the crest. Some families may also have a motto. Crests can be used to enhance the décor in residential houses or offices as a way to honor family roots. Family rings make great gifts as well as items of personal proclamation of family history. Rings are usually personalized with the engraving of a shield and a Coat of Arms. A shield is basically the central part of any Coat of Arms. Most shields will have two animals on either side, a feature referred to as the supporters. The helm is the feature above the shield. It is usually used to indicate the position of the family in the time it was created. A beautiful enhancement that gives the family crest more distinction and sophistication. Adding a family name to the ring will also serve to make it more memorable. Sterling silver is a much more durable alloy as compared to fine silver. It is improved to give the ring strength and advance its ductility while preserving the beautiful silver. As a gift, it is suitable for all family. Remember silver will tarnish and must be cleaned occasionally. Gold is a long-lasting metal, it is also a beautiful material that makes it ideal for family crest rings. It is resistant to corrosion and the wear-and-tear of many metals. Gold is very resistant to reaction even in the harshest conditions. Because it increases in value it will become a great military heirloom.